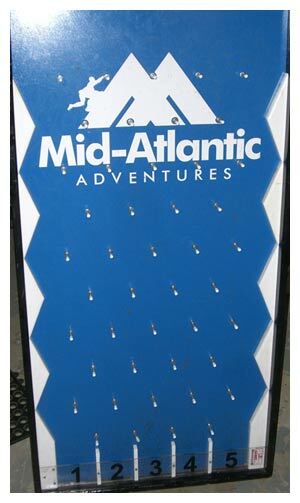 Have an afternoon of fun with any variation of Plinko you'd like. No matter how you play its guaranteed to be a crowd favorite! Contestants are given 3 disks, which they let go one at a time. there are 6 slots on bottom of plinko board. The contestant guesses which number the disk will land in. If they are correct, they get a prize. Another variation would be to have 6 prizes, one for each number. Whichever number the disks lands in would represent a prize.